Buy your Ricoh Scanners from ScanStore and our dedicated scanner experts will be there to help if you need us. Online feature comparisons, user reviews & live support chat. IS760D 75ppm Color Duplex 12x17"
multi-functional upgrade for your printer. Printing is a necessity in today’s office, and it’s no surprise that printers are so common on the desktop. But for any other tasks like copying or scanning, it’s a walk to the shared copier. That is until now. The Ricoh IS100e scanner transforms your Ricoh desktop laser printer into a multi-function system, capable of copying or scanning documents and images in both color and black & white. Document scanning and copying at your fingertips. Ricoh Aficio IS01 image scanner offers the high-speed, scanning capabilities you need to keep your office organized and operating efficiently. The Aficio IS01 allows you to scan documents up to A3 (11" x 17") size with unprecedented price to performance. KV-SS55EX 40ppm B&W Duplex 8.4x14"
can greatly increase productivity while seamlessly connecting to your existing network. Whether it's scanning color images for a Desktop Publishing project, or easily handling the B/W production requirements of Document Management applications, Ricoh's IS330DC scanner is never idle! scanner is out of production and there is a limited supply left. We have special pricing on this scanner making the lowest price available! Order today while they last! Simplex scanning up to 65 ppm (landscape). Standard 150 sheet (ADF) Automatic Document Feeder. Handle a broad range of paper sizes up to 11" X 17". ISIS and TWAIN compliant drivers. IS760 75ppm Color Simplex 12x17"
AC104 15ppm Color Simplex 8.5x14"
AC205 22ppm Color Simplex 8.5x14"
AC204 15ppm Color Simplex 8.5x14"
More info on Ricoh Scanners. 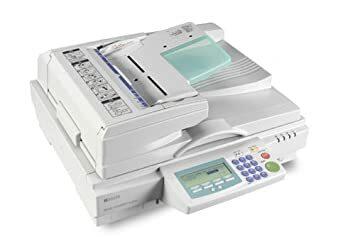 This page was designed to help you find Ricoh Scanners quickly and easily. Click Here to find Ricoh Scanners. 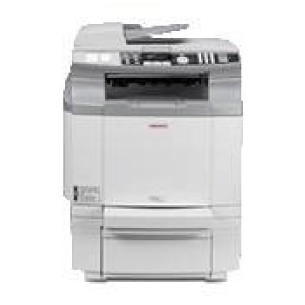 Click Here to find Ricoh Scanners.